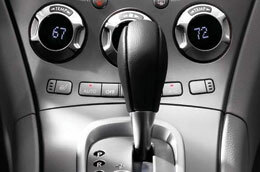 Seeking out information on your next vehicle purchase is important. 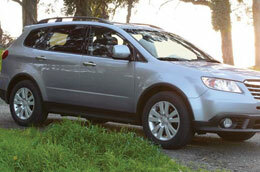 That's why we take the time to create reviews on the Subaru Subaru Tribeca. As the prominent Subaru dealer in Kansas City it is our job to present our customers with Subaru reviews written by the top Subaru writers in the world. Loaded with invaluable specs and information, each paragraph gives you complete access to all the Subaru Tribeca has to offer. Van Subaru is always available 7 days a week to answer questions you have. Do not hesitate to call us to speak with our Tribeca specialists. Compare the 2013 Subaru Tribeca alongside vehicles like the 2013 Toyota Highlander, Hyundai Santa Fe and the Ford Explorer, and you'll discover that the Tribeca outperforms the competition in many areas. Look through our Quick List below to find out why! Can the competition beat the Subaru? Get a lengthy warranty on repairs - plus access to actual Subaru parts and fantastic Subaru technicians - at your prominent Kansas City area Subaru repair center. The experienced technicians at our Subaru repair department in Kansas City will help your Tribeca run perfectly. We do a large array of jobs, from simple serpentine belt replacement and speedy inspections to more involved jobs such as muffler repair. From the straightforward to the complex, Van Subaru does it all and offers honest prices, professional service and hot shots mechanics. Save money on your next service appointment - click the link below to learn more.